It is the time in Ireland when the winter takes contact to the summer, turns over, in the search of sun. Soon all the winter and snow is gone. No use for winter tyres any more, as the summer lets every home to open doors wide open to let the sun and summer comes in. Now is the time for new high performance and safe driving while the sun is shining. What would the dawn of the lovely season be without a new set of tyres to the car? Now the hot news! No need to search any more, we have good tyres which fit well. Weather conditions are good for summer now, stow winter tyres off and put fresh and lovely summer tyres on. Dublin is the home of tyres and good weather. It is soon mid-July and the sun is shining. People head on driving across the town, weather is good and safety stays number one. Every house is ready for summer, conditions good and no snow in Ireland any more. High performance cars take contact to the season. More good news: these tyres kiss the road! 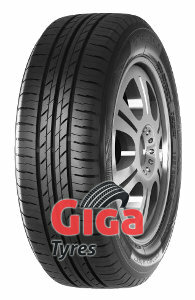 Find your next set of black rubber to the road, from Giga Tyres, let the rock go on rolling over the hot sunny street. Snow and winter conditions are all gone, news good and curves go tight. Stow the winter tyres now, it is all summer coming and Giga Tyres shop full of hot new accessories for car. Each item on display, for nearly every season and road. One wheel from here one tyre from there, come to see, we have plenty of stuff from all over the world.